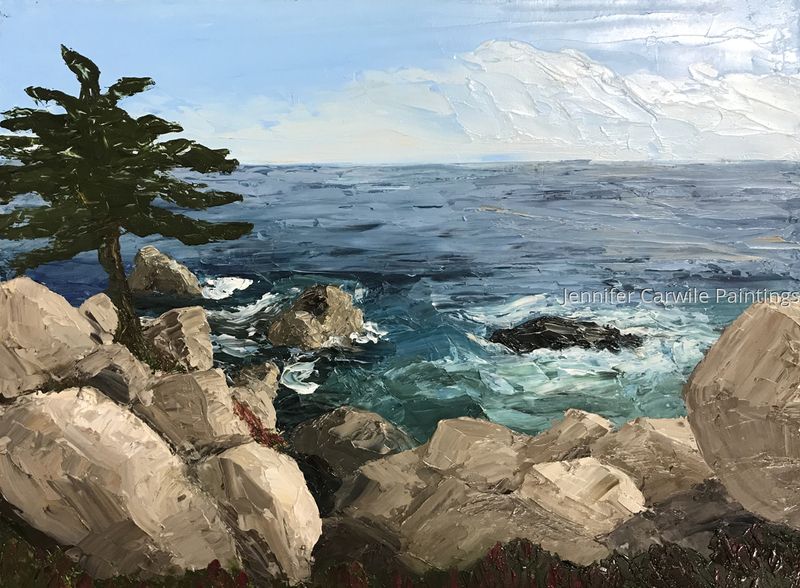 California Series- We went to Carmel and I fell in love with the ocean here. THe rock formations, the mist, the color of light in the sunset- it was fantastic. And I came home and had to paint landscapes- which you might notice is unusual for me!